After multiple years of low pearl harvest yields sue to weak shell issues, Australia’s pearl industry seems to be bouncing back – which is great news both for Australia’s pearl farmers, and for pearl lovers around the world. Harvesting pearls in Australia is a painstaking process, taking as long as two years for pearls to form and to be cultivated. When a healthy pearl is produced, the farmers carefully remove it and then introduce another particulate into the same pearl shell, with the hopeful expectation that another healthy pearl will take its place in two years’ time. Harvesters say that the health of the shell is paramount in the ultimate health and strength of the pearl. Recently, while pearl yields have been healthy, the process has taken longer than the usual two years. But farmers have said that they are willing to be patient, and that the return of healthy pearls is a sign of good things to come. In the meantime, scientists are researching the bacterial levels in the water, looking for an explanation for the drop in yields and extended cultivation times. They’re also analyzing the entire pearl formation process from top to bottom, beginning with the particulates introduced into the pearls to the water temperature in the hatcheries. The pearl-protection efforts reflect the care and concern that Australian pearl farmers have for their livelihoods and for the pearls which support them. The return of healthy Australian pearls is good news for everyone. 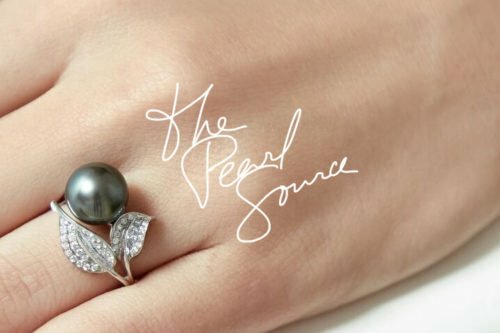 As the pearl market bounces back with the re-introduction of Australian pearls, consumers can enjoy the benefits of reduced costs and a wider selection of pearls.